If you have osteoporosis or are concerned about your bone health, one of the pieces of advice you may have received is to exercise regularly. Like the end goal of any osteoporosis treatment, the hope is that exercise will prevent fractures, which occur easily when bones are weak and fragile. In fact, more than 80% of all fractures in people over the age of 50 are due to osteoporosis. 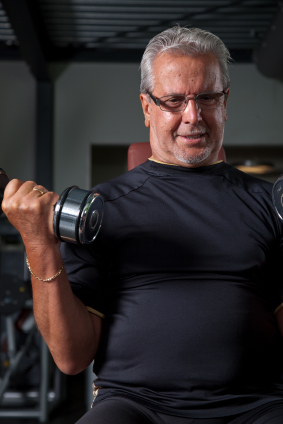 But will all that walking, stretching, and weight-lifting actually reduce your fracture risk? A recent paper published in the scientific journal Osteoporosis International set out to tackle this important question. The paper titled “Effects of exercise on fracture reduction in older adults” is a meta-analysis – a type of study that combines results from several individual studies that address the same issue. Authors of a meta-analysis will first conduct a thorough search of the existing literature on their topic of interest. Once they have narrowed down their search results to relevant studies, they will conduct a special statistical analysis to combine the results from the different studies, giving us an overview of what research so far says about a certain topic. 1) Publication bias – Publication bias refers to the fact that trials with positive results are more likely to be published than trials that show no effect or show negative results. In the case of the exercise trials included in this analysis, most of them did not initially set out to discover if exercise had any effect on fractures. Rather, they focused on bone density measurements or risk of falling. Therefore, the trials which incidentally discovered fewer fractures in the exercise group may have had a better chance of being published compared to the trials where there was no difference in the number of fractures in the exercise and control groups. 2) Trial participants – Most participants in the studies included in the meta-analysis were Caucasian postmenopausal females. One study only had Chinese females as participants and only two studies included men (one of which was men with Parkinson’s disease). So although the meta-analysis found that exercise led to fewer fractures, we cannot say for certain that this is the case for men and women of all ethnicities and ages. 3) Exercise regimen – The studies included in the meta-analysis all followed different exercise programs. These differences include the amount of exercise and the length of exercise, ranging from 1-7 hours per week for a total of 6 months to 12 years. 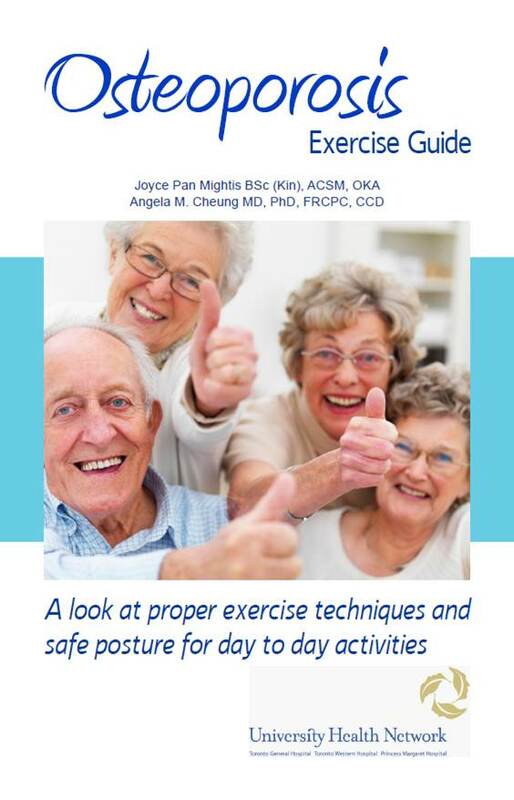 Some studies used group exercises, some used home exercises, some a combination of both group and home exercises, with and without supervision. In addition, the type of exercises (resistance training, walking, balance exercises etc.) also differed with each study. All of these differences make it very difficult to pool results and to know which type of exercise is best and how much and for how long. This point is of crucial importance because, with enough differences in the exercise programs, we can end up comparing apples to oranges! 4) Number of participants – In order to design a trial that can accurately test whether exercise can reduce fractures, thousands of participants are needed. Most of the trials included in the meta-analysis had a relatively small number of participants. In summary, although it may be likely, we do not have definite proof that exercise reduces overall fractures. The question then remains: why do doctors recommend exercise for osteoporosis patients? We’ll explore this answer in a follow-up post and also discuss our research on osteoporosis and exercise.